I’m Kaitlin, a cohort 1 IGERTeer, and I haven’t blogged since our 2010 field seminar in Greenland. Since then, I have been busy finishing my required coursework and now have the luxury of focusing solely on research. That research is what brings me back to our IGERT blog. As you may, or probably may not, remember, I study firn in Greenland, which is the 50-100m of snow on top of the Greenland ice sheet (not fern, the leafy plant). I have travelled from Dartmouth to Copenhagen, Denmark, to continue my firn research. 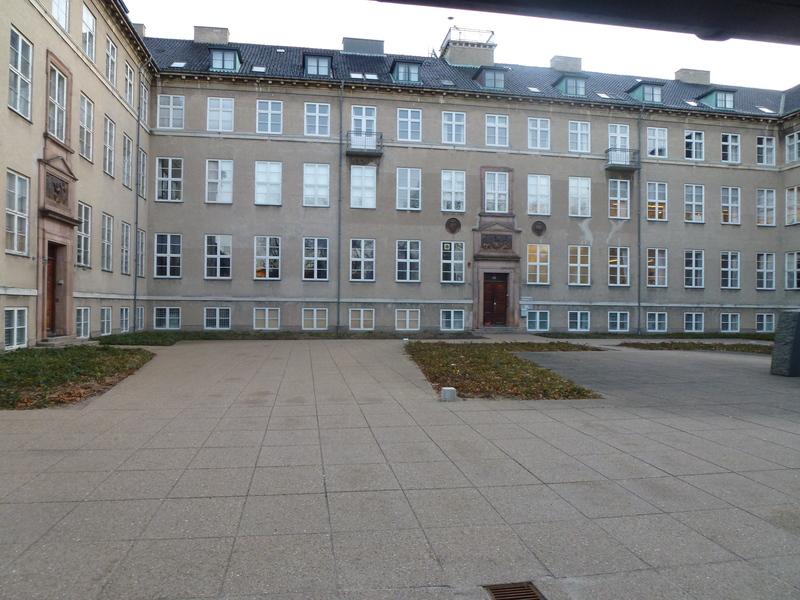 The Center for Ice and Climate (CIC) is housed at the Niels Bohr Institute of the University of Copenhagen, and is an important research center in the ice coring community. 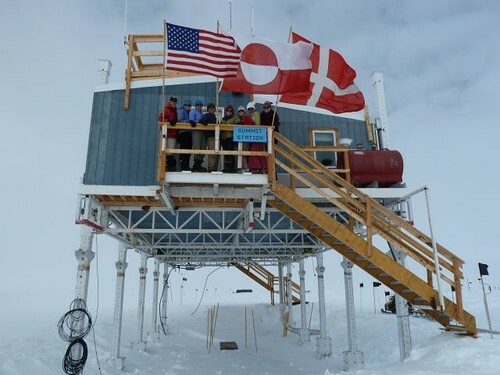 Most recently they’ve lead the NEEM deep drilling project, which generated a new deep ice core in Greenland in record speed (http://neem.dk/). I’ve come to the CIC to work with two firn cores that are stored here in Copenhagen. 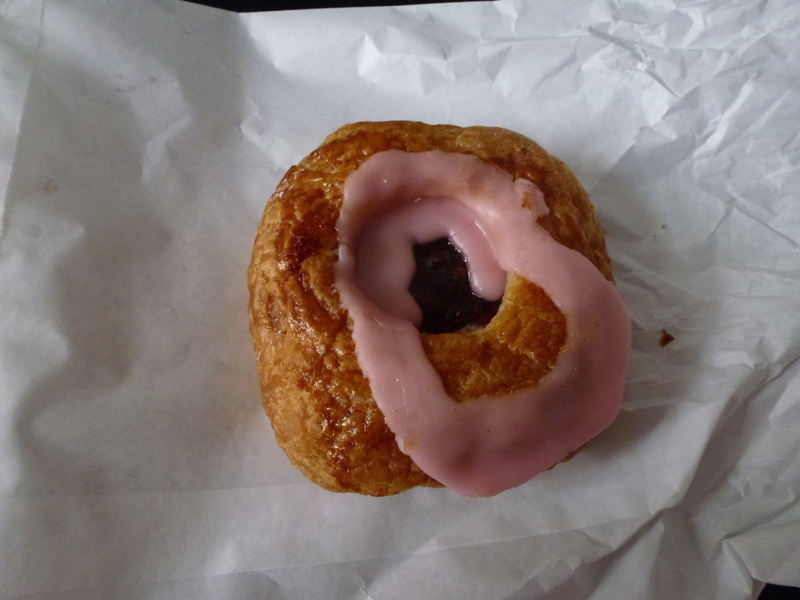 My nemesis: a raspberry danish. 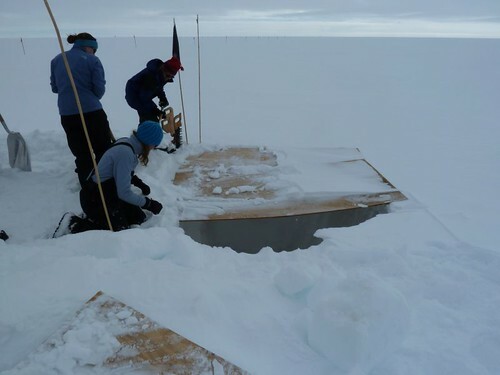 At the end of our first day of fieldwork we covered our snow pit with plywood to protect our hard work from overnight snowdrifts. We were all happy to simply brush some snow aside instead of having to dig another pit from scratch. The second day was Kaitlin’s day for sampling. She and Gifford are both studying the nature and dynamics of snow layers. Normally, as PhD students, they would each be focused on their own data collection from different pits and at different sites. However, during the trip planning they realized how much their data complement each others’, and they made a new plan to collect samples from the same pit to align their data sets. The layers record snowfall events, the seasons, and other environmental conditions, like wind. 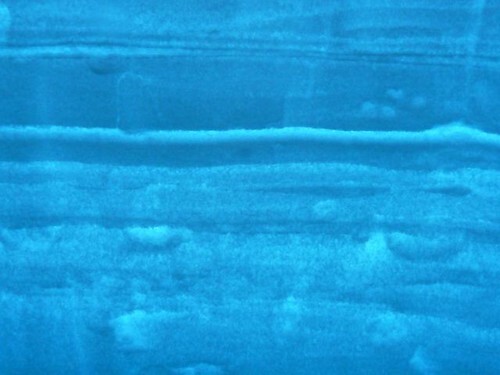 The lighter areas are less dense snow, with bigger snow crystals, and the darker areas are more dense snow, with smaller crystals. Kaitlin is measuring permeability of the snow from the surface down to 2 meters. 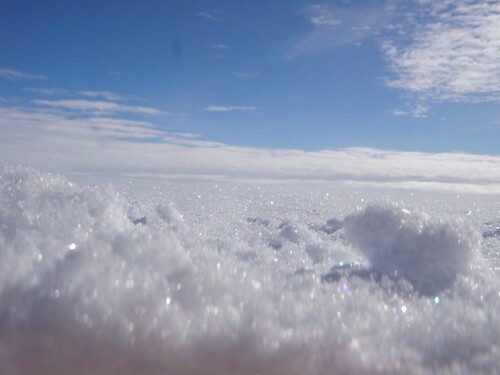 Permeability is how easily air, or any other liquid, flows through a material, which in this case is snow. A good example of permeability is rainfall on flat ground: rain that falls in a sandbox will flow below the surface, but rain that falls on concrete will collect and form a puddle. This difference is because sand is permeable and concrete is not permeable at all. Kaitlin explained why it’s important to measure permeability in snow–permeability helps us understand how gases flow between the air and the snow, and then within the snow layers too. 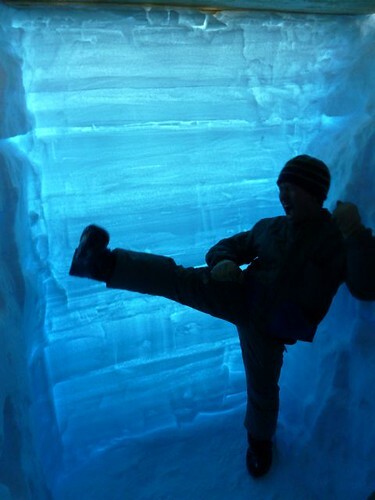 This information helps ice scientists interpret the gases that are found in ice cores, like those taken from the Greenland Ice Sheet. 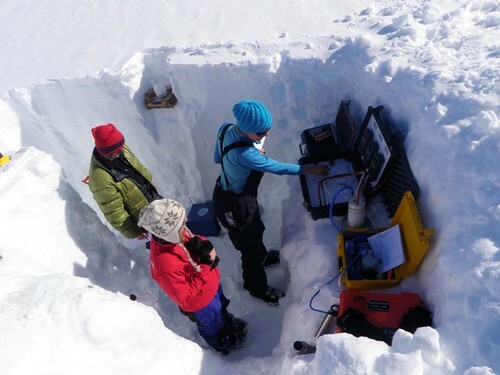 To measure permeability, Kaitlin is using a permeameter, which was developed by her adviser, Dr. Mary Albert, and Frank Perron at Polar Research Solutions. The measurements have to be made in the field so the instrument is portable, but I can tell you that the gray and orange battery cases are not light! But what does it all do?? Right in the middle of the setup you can see the white cylinder that holds the snow sample. Tubing connects a pump, in the yellow case, to the sample to control the flow of air through the cylinder. 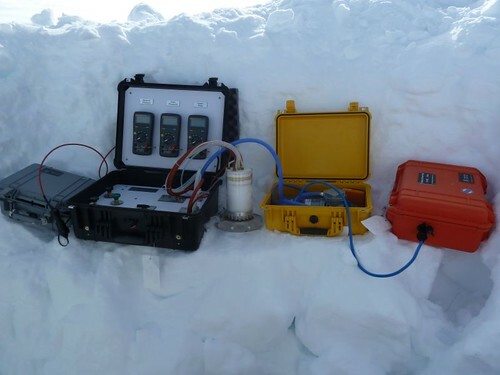 The air flows through the snow sample and then to the black case, where meters measure the rate of flow. The coolest part was that we saw that permeability was lowest in the snow surface, where it was wind-packed. The deeper samples were more permeable because the lower layers generally have larger crystals which make for larger passageways for the air to flow through. We also measured density of the snow. 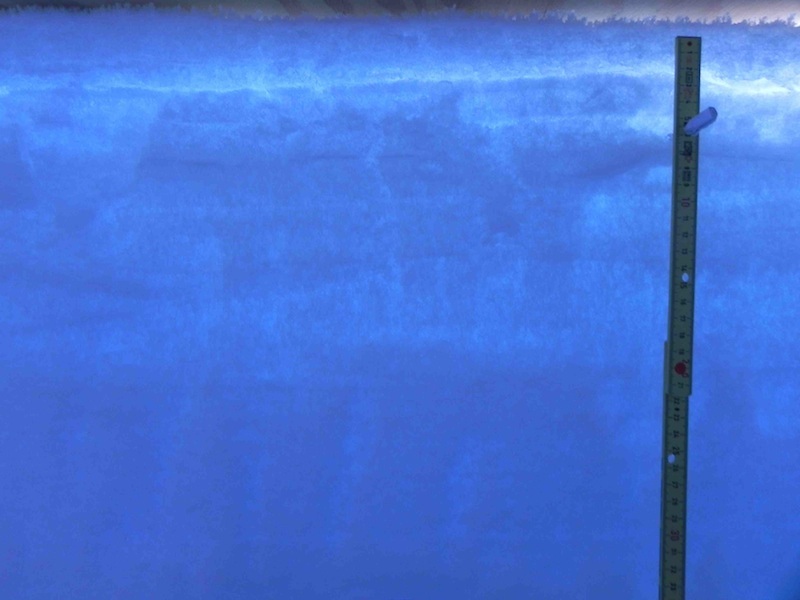 Whereas permeability tells us how much space there is for air flow, density tells us the mass of snow in the layers. Two different samples could have the same permeability but, depending on the crystal structure, they could have different densities. Density is a basic measurement that Kaitlin is taking to help characterize the snow layers and compare them with other sites. To measure density we used a known volume sampler, and then weighed the samples on a portable scale. What started out as a cloudy day turned into a calm and sparkly one, perfect conditions for what ended up being a 16-hour science marathon. Kaitlin finished the day with some valuable data and I am coming away with a new-found appreciation for the information that is locked up in these delicate, little pieces of frozen water. 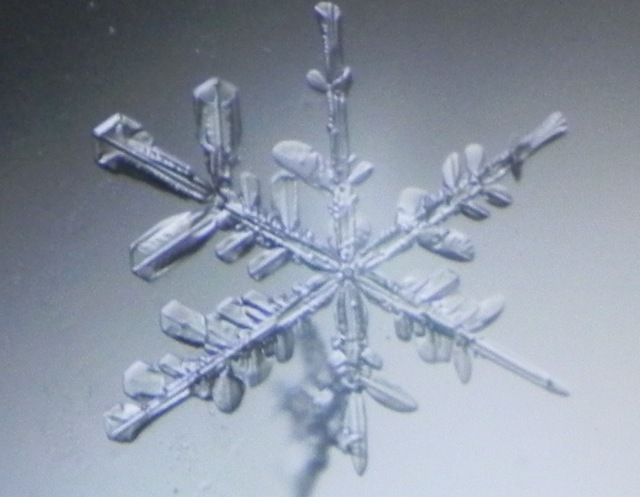 Snowflake wonder is knowing that no two snow flakes, nor snow layers, are the same. What a surreal opportunity to travel to Summit Camp with our IGERT friends! 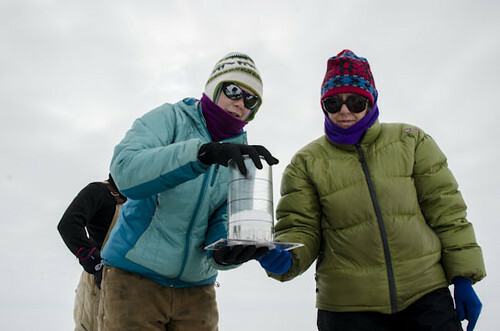 Kaitlin and I both have been up to the Greenland Ice Sheet before, and it was a decided treat to perform our science with the help of our IGERT cohort. As you’ve read in the blog, which has been thoroughly recording our exploits thanks to a Herculean effort by the rest of the group (including Ross! 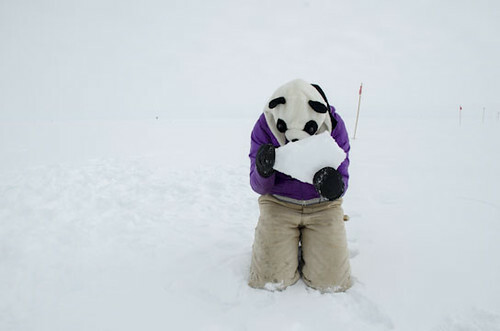 ), Kaitlin studies the material properties of firn and I look at the spatial variability of the ice sheet. 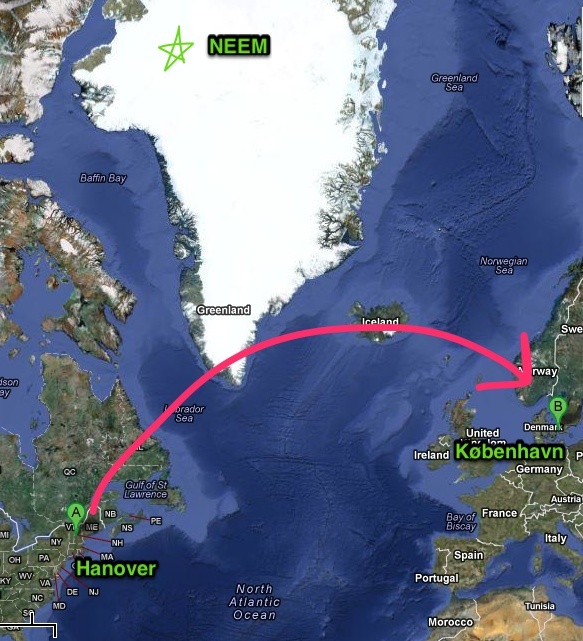 Kaitlin has been to NEEM, the Danish deep drilling site, and I have been to Summit Camp earlier this summer. 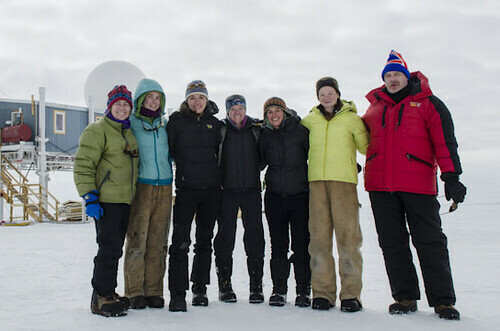 We both agree that while deep field camp science is fun in its own right, experiencing the flat white of the polar ice sheet with your mates is a uniquely special time that will always be remembered. Cheesy? Perhaps, but all together true, and very telling of our experience. We appreciated their enthusiasm, willingness to help, and thought-provoking questions. Here were scientists, some totally taken out of their studied element, challenging Kaitlin and I with their transdisciplinary inquiries and forcing us to refine our articulation of our respective fields. We certainly owe them, at the very least, a heartfelt “thanks” for their contribution to our field science experiments. Without rehashing the previous days, we found ourselves sad on the last day for obvious reasons: 1) the family we inherited up at Summit Camp whose selfless and tireless daily deeds kept not only the big Summit machine moving, but elevated our group’s morale (i.e. sauna and cookies) as well as helped maintain our tightly-scheduled time at camp and 2) leaving “home”. 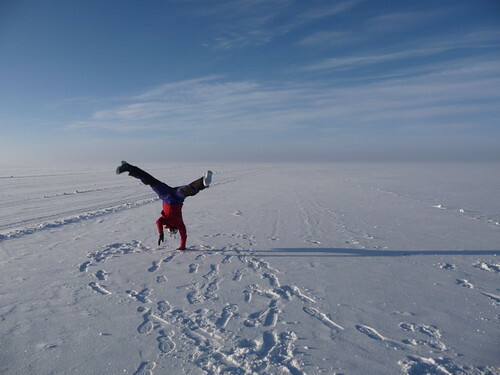 Not home in the sense that we would have wanted to pick up from Hanover and move permanently to the polar plateau, but home in the sense that it felt natural to conduct our science here; we are very curious about snow and ice, and the draw to the ice sheet is undeniably strong. So, goodbye Summit … but not really “goodbye” so much as “see you later.” We will, you see … we’ve promised ourselves that much.